The wife, Leela (Leela Chitnis), of a respected judge, Ragunath (Prithviraj Kapoor), is kidnapped by a criminal, Jagga (KN Singh) and on being rescued, is found to be pregnant. The judge turns her out accusing her of infidelity. Their son, Raj (Raj Kapoor), born in the slums, ends up a criminal nurtured by the very man who kidnapped his mother, and faces a murder charge when he kills him. Rita (Nargis), Raju’s lover and the judge’s ward and a lawyer herself, defends him and examines the judge in the witness box. She holds the judge and society responsible for dehumanizing Raj. The judge realizes his mistake and finally owns up to Raju being his son. After World War II and Indian Independence, many Indian filmmakers turned to urban life and its harsh realities. The city became synonymous with jobs, wealth and excitement. But this was just one edge of the sword. The other edge was the harsh reality – of exploitation, crime, sleaze and slums. Awara was one of the films, which also looked at the latter and argues with nurture over nature ie Environment rather than heredity maketh the man. 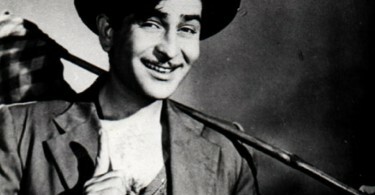 With Awara, Raj Kapoor created his iconic tramp, the good-hearted rootless vagabond living on his wits, inspired obviously by Chaplin. The tramp was an allegory for the innocent state of mind of the post Independent Indian. In post-partition India when the entire socio-political system was under stress and thousands of migrants poured into the cities, identification with Raj Kapoor’s rootless Raju was plausible and easy. Although with Awara, Raj Kapoor’s social concerns become more pronounced, more than its social probe, Awara is an astonishing even ingenious mixture of melodrama, romance and crime. The film also works primarily due to the incestual casting of real life father and son, Prithviraj Kapoor and Raj Kapoor as the judge and his estranged criminal son, Raj’s younger brother Shashi as the younger Raj, and real life lovers Raj Kapoor and Nargis as lovers in the film. Besides this, Prithviraj’s father made a cameo as a judge while Raj’s son, Randhir, makes an appearance in the opening credits of the film. Talking of the Nargis-Raj pair, there is a solid on-screen chemistry between them particularly where Nargis dances in sexual frenzy on the boat during the Dum Bhar Jo Udhar song or the scene on the beach when she calls him a ‘junglee’ and he retaliates by slapping her – Pure, Raw Passion! In fact, all the performances in the film are flawless, especially that of villain KN Singh, who gives, arguably, the performance of his career. Raj Kapoor’s musical sense and feel for rhythm and his personal involvement in music sittings have ensured the highest quality of music in his films and Awara is no exception. The songs of Awara (Awara Hoon, Ghar Aaya Mera Pardesi, Ab Raat Guzarnewali Hai, Ek Bewafa Se Pyar Kiya, Hum Tumse Mohabbat Karke Sanam and Dum Bhar Jo Udhar Moonh Phere among others) are some of the most popular songs of Indian Cinema. Special mention must be made of the picturisation of Ek Do Teen, a sleazy dance on the streets with renowned dancer Cuckoo. As she dances men letch and paw at her and Raj Kapoor actually drowns out the song and brings in their garrulous laughter over the soundtrack, a device that works remarkably well. The much talked about Ziegfield like dream sequence among the clouds was choreographed by Madame Simkie and took three months to shoot. It was apparently added on later to make the film more marketable but today seems to be an integral part of the film and undoubtedly works as the highlight of the film, bringing Raj Kapoor’s famed showmanship to the fore. 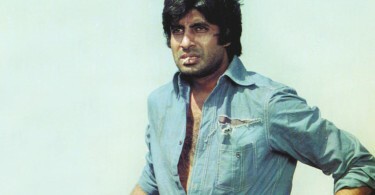 The film and particularly the title song swept through Asia breaking box office records in the Middle-East, being dubbed in Turkish, Persian and Arabic. In fact, it was even remade in Turkey in 1964! Raj Kapoor and Nargis became hugely popular pin ups in the bazaars of the Arab World. The film also swept Russia where it was called Bradyaga (Vagabond). An interesting fact here is that the villain of the film KN Singh did hid own dubbing in Russian! With Awara’s release, Raj Kapoor and Nargis also became superstars in Russia. When they visited Russia, bands played Awara Hoon at airports, a puppet show by a leading Russian puppeteer had in its final play, puppets representing Raj Kapoor and Nargis! The Russian enthusiasm lead to the distribution of his later film Shree 420 (1955) in Russia and though a success couldn’t match up to the heady success of Awara. Awara is also a cult favorite in China. In fact, the novelist Vikram Seth has a lovely anecdote that when he jamming with local musicians in Nanjing and when he was asked to sing something he began singing Awara Hoon. Not only did the musicians provide the back up music, they sang along in Hindi! 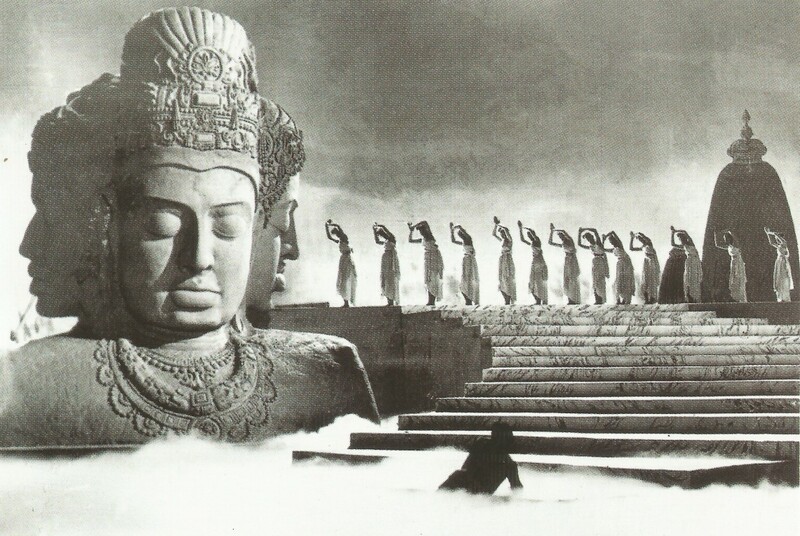 All in all Awara is arguably the best film that Raj Kapoor ever made – a great film by a great filmmaker. A well reaserched & written narrative. I would just say that the lyrist Shailendra also deserves equal credit. When KA Abbas invited Raj Kapoor to listen to the new film plot, Raj asked Shailendra to accompany. After Abbas finished the story, Raj asked Shailendra what he learnt. Shailendra just summarised in one line – Awaara Hu, Gardish me hu magar asman ka tara hu. The film name too was adapted from Shailendra’s those lines. This is based on what I have read & heard in the past. Thank you for your comment on the review and thank you for the information re: Shailendra and the film’s title. Much appreciated!